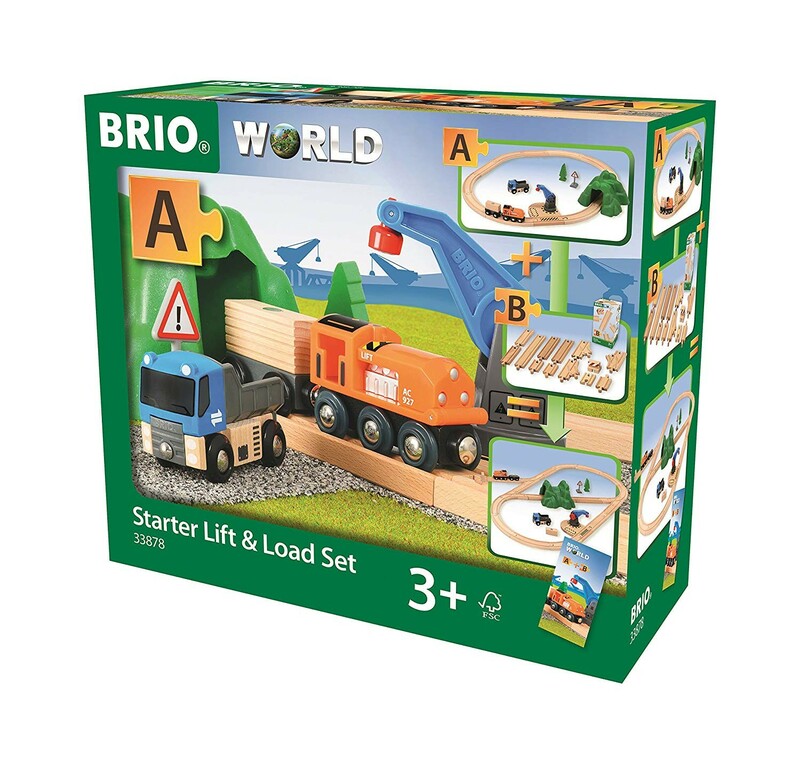 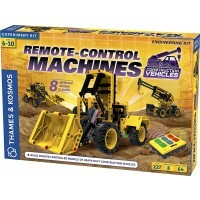 Lift cargo off the toy truck with crane and load it onto the magnetic train with this newest Brio Starter Lift & Load Set. 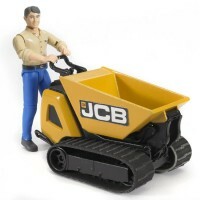 Lift & load! 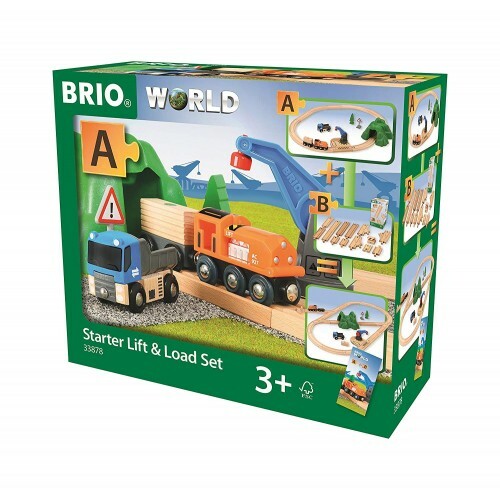 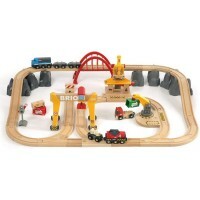 Build your first train system with this new Brio Starter Lift & Load 19 pc Wooden Train Set! 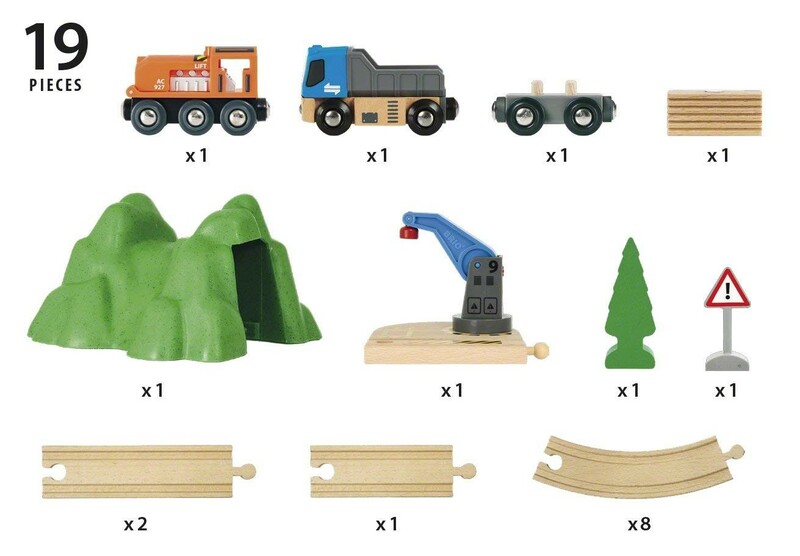 The kids railroad layout is packed with machine toys: grab crane, truck, a pop-up hood engine, plus wagon with load, warning sign, spruce tree, and a small mountain to thunder through. 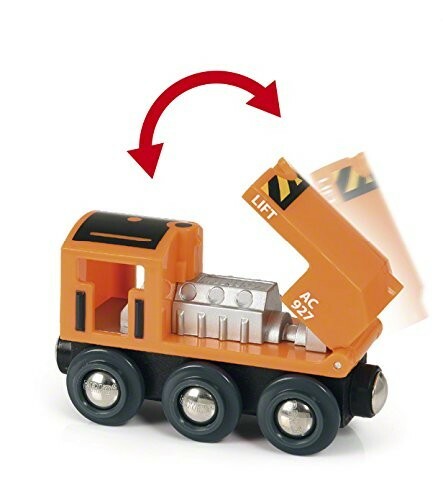 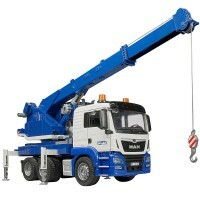 Lift the cargo off the truck with the crane, turn and load onto the train. 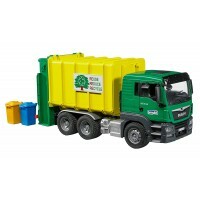 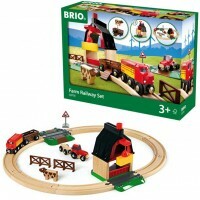 This Brio World set from Educational Toys Planet includes 19 quality made pieces that are compatible with any Brio World train sets. 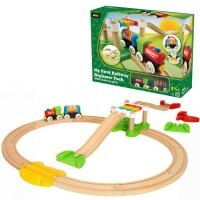 The assembled railroad covers about 26.25 x 23.25 inches. 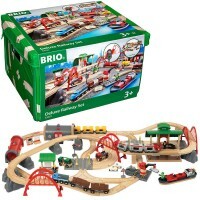 Dimensions of package 0.1225" x 0.0475" x 0.1075"
Write your own review of Brio Starter Lift & Load 19 pc Wooden Train Set.